Assign leads based on users' shift timing. Vendors who respond first to a prospect win 35-50% of the deals. The chances of converting is 9x more if you reach a prospect within the first 5 minutes. The stats above prove an important point - the quicker your lead assignment, the better the chances of winning the deal. While auto-assigning on round-robin basis helps balance the load, it does not help meet the need of having to quickly reach out to your prospects operating across geographies. Assigning leads based on the time at which they are created, solves this problem. This is done by matching the lead acquisition time with sales reps' shift timing. This week's custom function helps do just that. Provide a name for the function. For example: "Lead Assignment - Shift Timings". Change the 'xxxxxxxxxxxxxx', to the User ID of the specific user. The 'yy' and 'zz' refer to the time at which a lead is created. Use 24 hour time to set up a custom time window. Assigning to a user requires the User ID and not the user name. 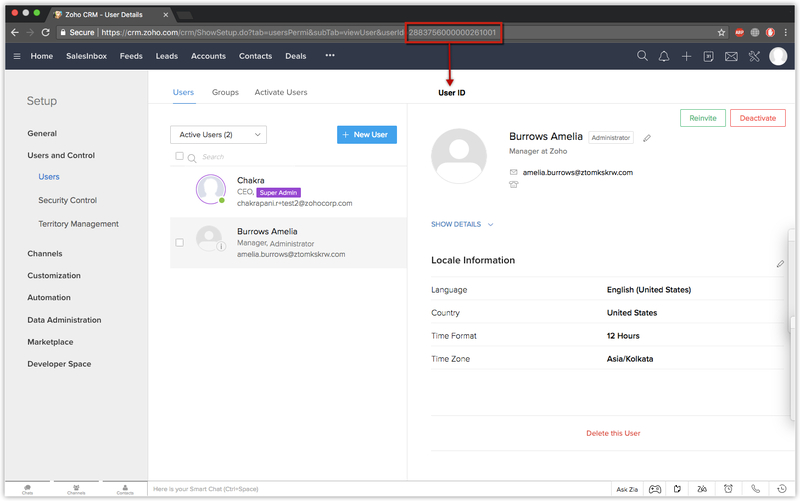 The user ID is found in the Setup page of your CRM. Take a look at the screenshot below for more details.